Nearly 20 years since Kennewick Man was serendipitously discovered along the banks of the Columbia River in Washington State, the scientific saga of his life and legacy is being released. A new book titled Kennewick Man: The Scientific Investigation of an Ancient American Skeleton, co-edited by forensic anthropologists Douglas Owsley at the Smithsonian Institution and Richard Jantz at the University of Tennessee, will be published this September by Texas A&M University Press. It provides the most thorough analysis of any Paleoamerican skeleton to date. 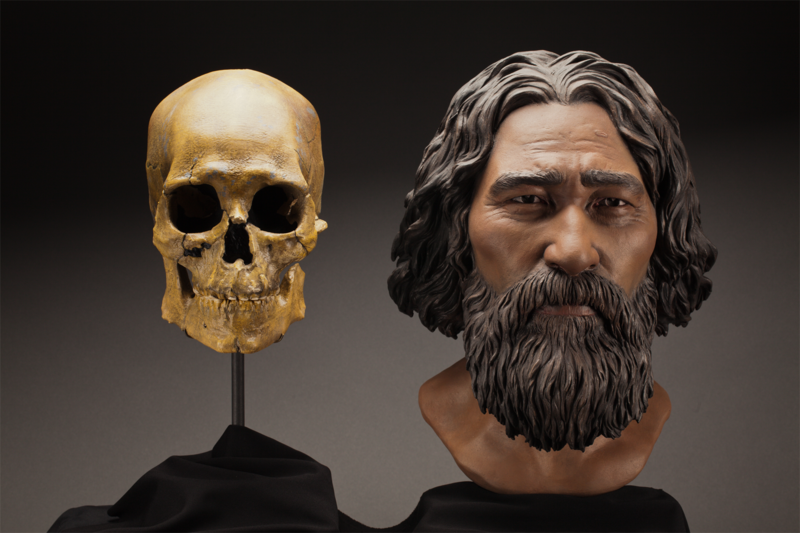 The findings reveal key details about Kennewick Man’s identity, including where he lived nearly 9,000 years ago and his approximate age at death, lifestyle and relationship to ancient and modern human populations. However, these conclusions stretch beyond the life of just one individual. They provide scientists with a new window into the ancient migration of people to the New World and the experiences of early Americans. Kennewick Man was about 40 years old at the time of his death, the cause of which remains a mystery. Other humans buried him at the gravesite where his body was found. Kennewick Man’s skull morphology does not easily fit into any major populations today, but most closely resembles Pacific Rim populations such as the Ainu of Japan and Polynesians, reflecting deep roots in coastal Asian groups. A facial reconstruction of Kennewick Man housed at the National Museum of Natural History lends a deeper understanding of what he may have looked like. Owsley and his colleagues conducted an extensive, interdisciplinary analysis of Kennewick Man’s remains with the support of about 50 physical and forensic anthropologists, archaeologists, geologists, geochemists and others, who studied the nearly 300 bones and fragments that were discovered in July 1996. The resulting studies concluded that Kennewick Man was tall for his time at 5 feet 7 inches and well-muscled. His 163-pound, wide-bodied frame helped him navigate the steppe-like habitat of his surroundings along the northwest coast of North America where he hunted and fished. Kennewick Man, called the “Ancient One” by American Indians, lived among big-game animals such as deer, pronghorn antelope and bighorn sheep but primarily consumed fish and marine mammals. This diet, along with Kennewick Man’s reliance on glacial meltwater in rivers, is consistent with the lifestyle of a traveler from the northern part of the continent who made his way down the Pacific coast to Washington state. His hand, arm and shoulder bones suggest that he was right handed and was adept at flint knapping and throwing spears with an atlatl. Kennewick Man survived two major injuries during his life, including six broken ribs from blunt-force trauma to the chest and an adversarial encounter with a spear. 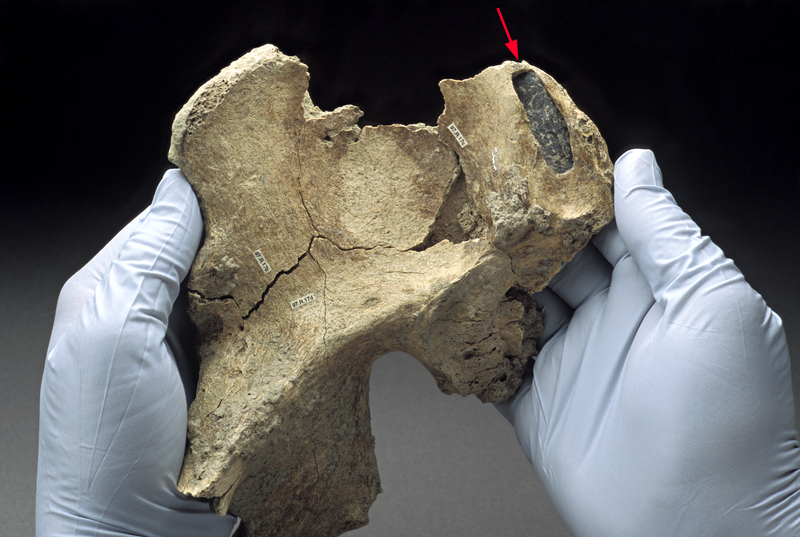 The resulting impact from the spear left a stone projectile point permanently lodged in Kennewick Man’s pelvis for multiple years during his lifetime. In addition to discussing the life of Kennewick Man, the book sheds light on other ancient and highly unique burials. There is a chapter about On Your Knees Cave in southeast Alaska where the bear-scavenged remains of a 10,200-year-old young adult male were found, and another featuring Horn Shelter #2 in central Texas, which contained skeletons of a young child and man buried with distinctive cultural items that identify the man as a shaman. The analyses of these sites provide a broader context for understanding Kennewick Man’s place in the Paleoamerican world, a time period that has produced few well-preserved, nearly complete skeletons. Owsley and his colleagues plan to continue their study of Kennewick Man in the future to answer remaining questions about his identity. Research on Kennewick Man took place over the course of two visits and 16 days in 2005 and 2006 following a court ruling permitting the study of the remains, which are currently housed at the Burke Museum of Natural History and Culture at the University of Washington in Seattle. More information about this announcement is available on Smithsonian.com. This clay facial reconstruction of Kennewick Man was carefully sculpted around the morphological features of his skull, and lends a deeper understanding of what he may have looked like nearly 9,000 years ago. 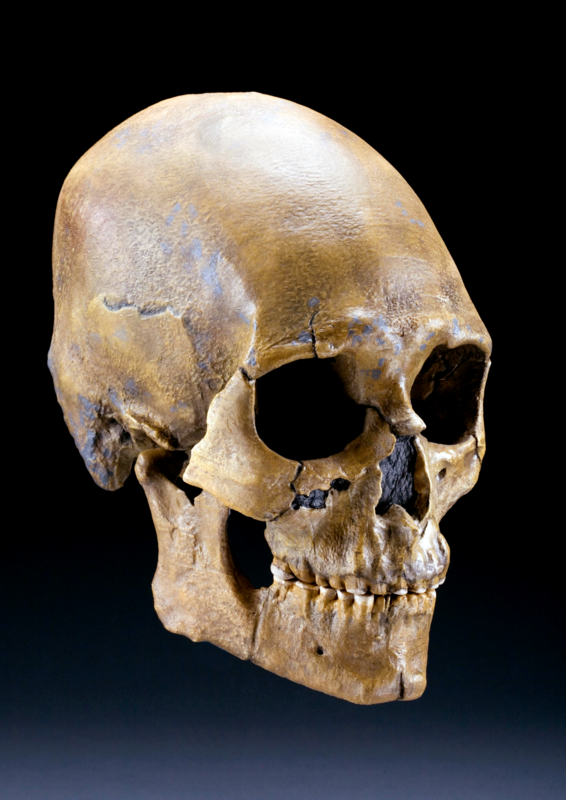 The morphology of the skull and long bones led National Museum of Natural History researcher Douglas Owsley and his colleagues to conclude that Kennewick Man likely shared ancestors with Asian coastal groups, including deep connections with the predecessors of contemporary Polynesians. 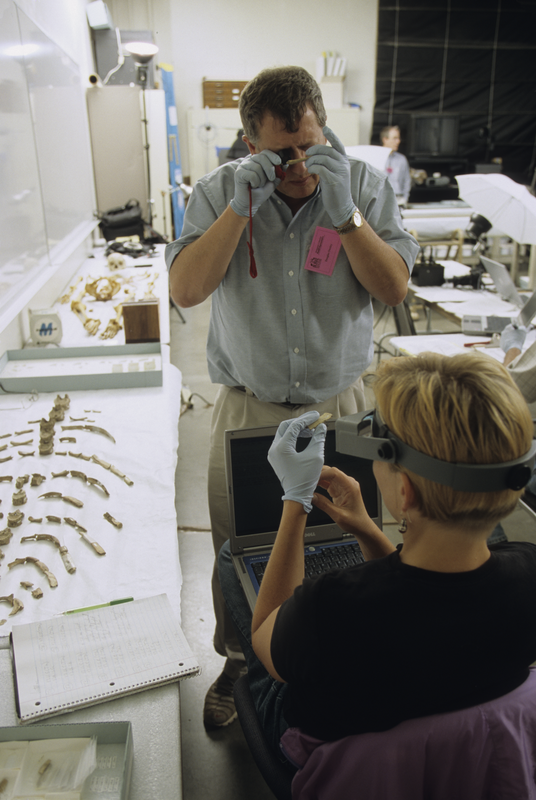 National Museum of Natural History forensic anthropologists Douglas Owsley and Kari Bruwelheide examine the ancient skeletal remains of Kennewick Man during 16 days of study in 2005 and 2006. Forensic anthropologist Kari Bruwelheide arranges Kennewick Man’s remains, which revealed that he was tall for his time and used his wide-bodied frame to navigate the Pacific northwest coast as a traveler and hunter of marine mammals. The exceptionally well-preserved skeleton of Kennewick Man is represented by nearly 300 bones and bone fragments. A stone projectile point embedded in Kennewick Man’s right hip gave researchers the first clue that he belonged to an ancient human population; the spear point likely became lodged following an adversarial encounter.